This project explored how students and teachers from two secondary, one intermediate, two primary school and one wharekura conceptualise the educational role and purpose of investigative work in the context of science teaching and learning. Based on these findings, teachers made changes to their practice with a view to improving students’ learning from and about science investigation. The efficacy of these approaches was evaluated. The central aim of the project explored how investigative work is currently implemented within the New Zealand (NZ) science curriculum, and how its use might be improved to enable it to achieve the learning goals of the curriculum more effectively. To achieve this, in the first phase we investigated and documented the perceptions of both teachers and students of the educational role and purpose of investigative work in the context of science teaching and learning. This provided the basis for focused reflection involving teachers, researchers and others on current practices, and how these might be modified or developed to become more effective in achieving agreed learning goals. In the second phase of the project we implemented some specific ideas that emerged from this reflection and evaluated their effectiveness in encouraging students’ active and creative engagement with science, and promoting science learning. Teachers and students saw learning to investigate as purposeful. Students experienced a variety of approaches to investigation. An explicit and planned focus on the Nature of Science strand of the curriculum and the science capabilities supported students’ epistemological understanding. Limiting the range of intended learning outcomes for a practical lesson appeared beneficial for science learning. 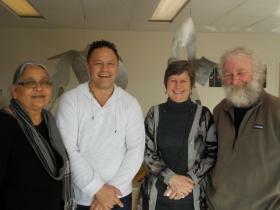 Wharekura teachers’ belief in the researchers’ understanding of and respect for the philosophy and practices of the kura gave wharekura teachers confidence to teach science investigation alongside Putāiao.